We have been visiting Brandenburg quite often lately. My husband’s family live there, so we are in the countryside at least twice a month. A few weeks ago, we did a styled shoot with the dream team: Meredith Bucher, Jess Karas Bay and Emela Husic. After the flower market at 4:30 today, we were on our way to Brandenburg again. With a car full of flowers, smile on face and feeling lighthearted, we only had the future to look forward to! The Love Circus Bash is this weekend, where we will meet new business partners and interact with new clients! The other reason for the happiness is that Brandenburg is sooooo gorgeous at 7am in autumn! Berlin city is behind me. 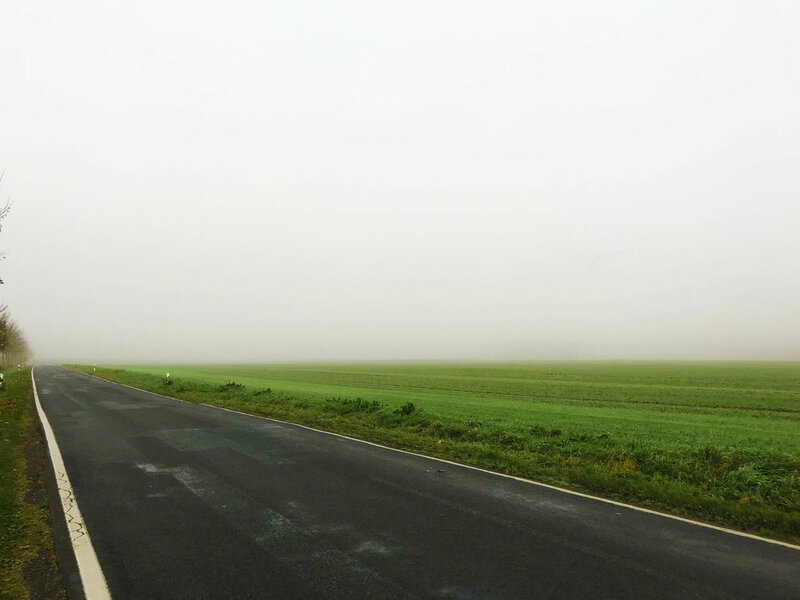 I drove into the fog, past green pastures, saw a lone eagle perched on top of a telephone pole, wizzed past sleepy wind turbines and dew dipped autumn flowers in someone’s little garden. When I drove past my favourite stretch of forest, my heart pumped a bit harder. The landscape only became more beautiful the more you stared at it. Don’t get me wrong, my heart still cries for South African landscape, it's unbeatable beauty, the sunshine on my skin and sweet smell in the air. There is nothing not to love. This morning in Brandenburg made me realise that there is beauty everywhere, just open your eyes and you will see it too. 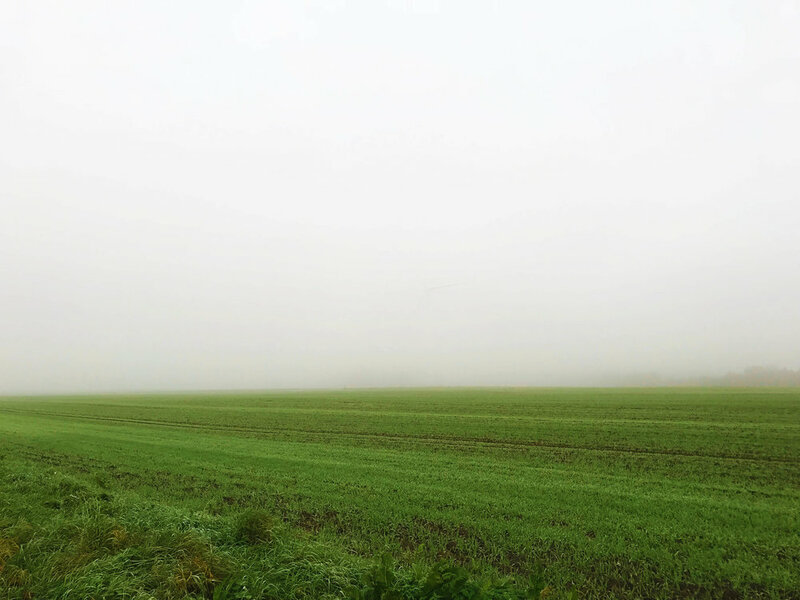 I stopped at a side road to take photos of a green field, in the distance, a few tree tops extruded from the thick mist. In the sky, I saw a giant wind turbine, dormant. I could almost hear Howl's moving Castle moving in the fog in the distance. 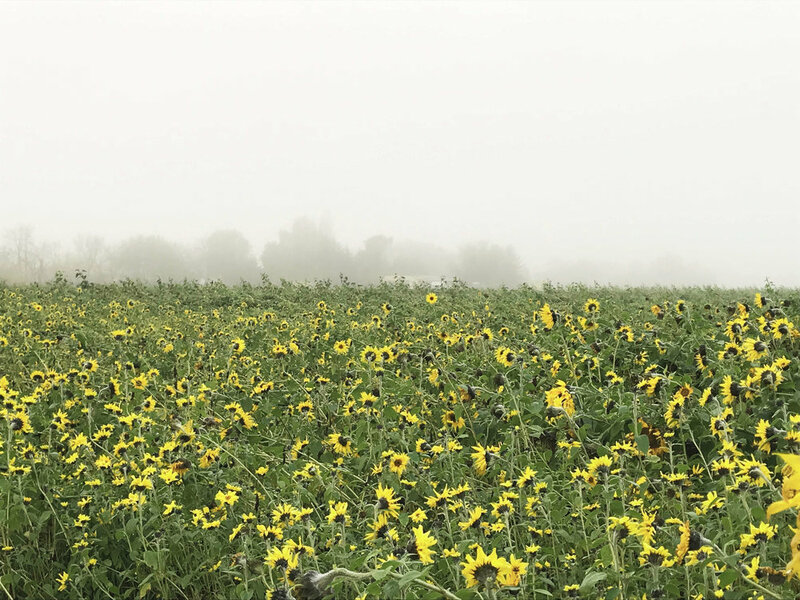 I turned around after my photo taking, and what did I see: a field full of sunflowers! Just when my morning could not become more perfect!